Holiday parties, special events and rich food gifts can all wreak havoc for even the most disciplined dieters. It can be difficult for most people to resist the temptation to indulge a bit with extra sweets or carbohydrate-rich comfort foods. People who live with Type 2 Diabetes may find these types of food-centric events to be especially challenging. According to recent statistics, more than 100 million people in America are living with either prediabetes or Type 2 diabetes, and that number is expected to increase. Fortunately, some lifestyle and diet modifications can make living with diabetes more manageable. Regular exercise can reduce glucose in the blood, so it’s very helpful for managing the symptoms of Type 2 Diabetes. Strive for 30 minutes of exercise each day. For seniors, this could take the form of a walk or stretches that can be done in a chair. Many community centers offer senior stretch or swim classes. Diabetics cannot process sugar the same way that non-diabetics do, so it’s important to minimize the consumption of sugar in any way you can. One simple dietary change is to switch to drinking beverages that have little to no sugar. Sodas and other sugary sweet drinks should really be eliminated from your diet. Even juices such as orange and apple contain a surprisingly high amount of sugar, as do some sports drinks. It’s best to avoid these altogether or switch to low-sugar options. Just because you have diabetes, this doesn’t mean that you have to eliminate all sugar or carbohydrates from your diet. The important thing is to try to maintain a stable blood sugar and avoid the highs and lows that come from depriving your body from sugar (i.e. not eating) or consuming too much sugar at once (i.e. eating large meals). One strategy is to try eating smaller, more frequent meals. Eating small quantities of food every few hours can help keep blood sugar stable. Refined, processed carbohydrates are the enemy of diabetics. These refined sugars go straight into the bloodstream and aren’t processed well. Try to avoid starchy pastas, processed carb-laden white breads, chips, candies and cookies. The easiest way to avoid processed foods altogether is to seek out whole foods such as fresh fruits, veggies and lean sources of protein. To avoid feeling hungry when you make the switch to smaller portions, try incorporating more protein into meals. Focus primarily on lean proteins such as eggs, chicken, turkey, low-fat Greek yogurt, low-fat cottage cheese, chickpeas and small servings of nuts. These can help you stay full for a longer time and can help combat swings in blood sugar. Another tip for feeling full when cutting back on sugars is to increase fiber consumption. The natural fiber in fruits, vegetables and whole grain breads and pastas can be helpful for avoiding surges in blood sugar levels. Fiber also boasts a number of other health benefits such as lowering cholesterol, aiding in weight management and helping to maintain bowel health. In addition to following the tips outlined above, it’s important to work closely with a doctor or other health care professional. 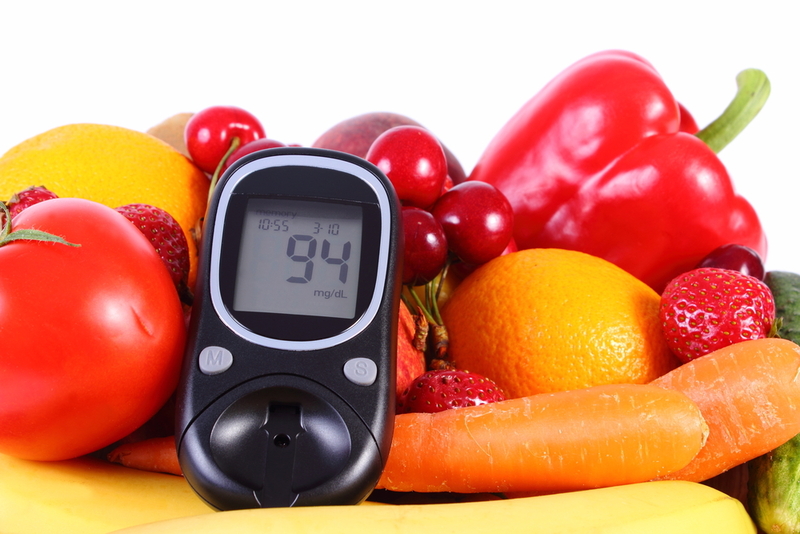 Those with diabetes should also monitor blood sugar levels daily and keep snacks or blood glucose tablets on hand. For diabetic seniors who are aging in place, home care can be extremely helpful for assisting with the selection and preparation of meals and regular monitoring of blood sugar. La Nurse Home Care Registry can connect you with experienced and compassionate caregivers for customized personal home care services. Call us at (516) 279-9885 or contact us online today to learn more.